At the end of 2017, Congress passed a new tax bill that claimed to simplify taxes. 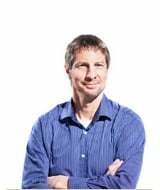 Since then, Cook Martin Poulson has been at the receiving end of countless questions from our business clients. Since the language of the law is complicated and open to interpretation, we want to walk you through its provisions. It can be difficult, when reading the law as a layperson, to understand who can take the 199A Business Income Deduction and who can’t. Also somewhat open to interpretation is the amount of a deduction you are eligible to take. In this post, we’ll explain it and give you some pointers to help you figure out whether you can benefit from this new deduction. What is the 199A Business Income Deduction? You probably know that Congress passed – and President Trump signed into law – a tax reform bill that was largely designed to ease the tax burden on business owners. Part of the bill, the 199A Business Income Deduction, is meant to give small business owners the same tax benefits that are given to large corporations. Specifically, 199A is a 20% deduction on the income of a business. It applies to the owners of so-called pass-through businesses, including sole proprietorships, LLCs, S corporations and real estate investors. As you might expect, there are limitations on the 199A deduction. The wording of the law is opaque in certain areas. Some CPAs have speculated that the vagueness of the language is likely to lead to disputes between business owners and the IRS. 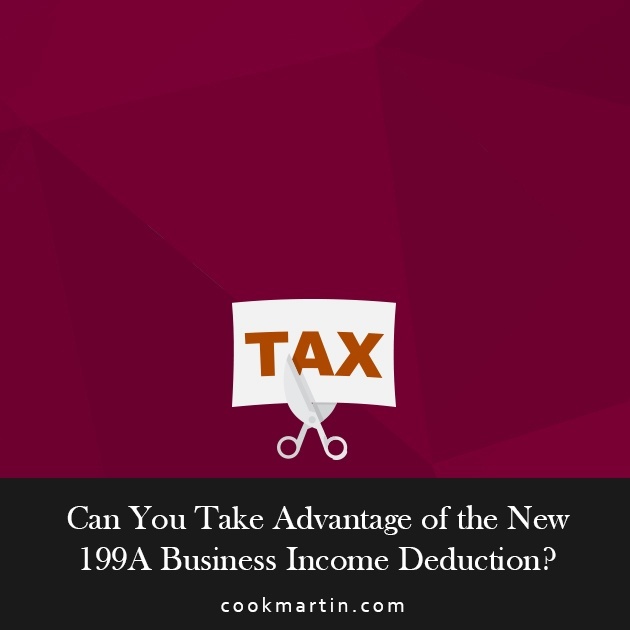 Who Can Take the 199A Business Income Deduction? One of the areas of the 199A Business Income Deduction is the explanation of who is qualified to take it. Let’s look at what the law says, and then we’ll explain how we interpret it. In other words, most business entities that are not C corporations may qualify for this tax deduction. That last item is where it gets tricky, and it is a bit perplexing given that the professions singled out in the earlier provisions are seemingly covered by the last one. It is also worth noting that certain professions that might seem to fall into this category don’t, such as engineers and architects. But, if an engineer or architect operating a business based on their reputation or skill would still qualify as a specified service trade. If your business falls into one of the categories we’ve just mentioned, you might be discouraged thinking that the 199A deduction doesn’t apply to you. However, as we will discuss in the next section, there are some exceptions based on income. You may still qualify. What Are the Income Limits for the 199A Business Income Deduction? The qualification for the deduction is based on your QBI (Qualified Business Income) which includes net income, gain deductions and loss with the respect of the trade or business. This includes recapture income from the sale of business assets and capital gain income from the sale of business assets. QBI does not include; interest, dividends, capital gains from the sale of investment assets. The single limit is $157,500 completely phased out by $207,500. That number will be adjusted for inflation. The married filing jointly limit is $315,000 completely phased out by $415,000, again, adjusted for inflation. The numbers here ($157,500 filing single and $315,000 married filing jointly) may seem familiar. That’s because they also represent the end of the 24% marginal tax bracket. Now, let’s walk through how to calculate the 199A Business Income Deduction. The basic deduction is 20% of your net qualified business income. For example, if you made $200,000, the deduction would be $40,000. The deduction is also limited to your taxable income. The sum of 25% of the W-2 wages with respect to the qualified trade or business plus 2.5% of the unadjusted basis immediately after acquisition of all qualified property. It’s easy to see why some business owners might be confused by this wording. Any time you say that something is the lesser of the greater of two things, confusion is bound to ensue. To illustrate how the deduction might apply to a married couple, let’s look at an example. Imagine that C and L are married. Their combined income is $450,000, of which $300,000 is ordinary income from an S corporation owned by L.
L’s allocable share of the business’s W-2 wages is $80,000, while his share of the business’s unadjusted basis in qualified property is $600,000. The sum of 25% of W-2 wages ($20,000) plus 2.5% of the unadjusted basis of the qualified property immediately after its acquisition ($600,000 X .025, or $15,000) for a total of $35,000. Since in this example we are looking for the greater of these two calculations, the amount of this couple’s wage and capital limitation would be $40,000. The wage and capital limitation of $40,000. Keep in mind that the overall limitation on their income would be $90,000 (that’s 20% of $450,000, which is their total income). Therefore, the couple would qualify to take a 199A deduction of $40,000. People who make more than the maximum amount allowed may still qualify for a partial deduction up to the point where the deduction is phased out. To understand how this works, let’s look at another example. C and L file a joint return. They report taxable income of $330,000, $300,000 of which is ordinary income from an S corporation not in a specified service trade or business. L’s allocable share of the business’s W-2 wages is $80,000 and his share of the business’s unadjusted basis in its qualified property is $600,000, the same as in our previous example. However, this time C and L’s taxable income falls between the lower and higher thresholds specified by the law, so only a partial wage and capital limitation applies to them. $330,000 less $315,000, or $15,000 of excess taxable income above the lower threshold. That number is then divided by $100,000 for a total of 15%. $60,000 less the reduction amount of $3,000, or $57,000. Here again, you must compare the calculation to the overall limitation, which in this case is 20% of $330,000, or $66,000. Since $57,000 does not exceed the limit, that is the amount of their 199A deduction. The 199A deduction is written in such a way that leaves parts of it open to interpretation. For that reason, we expect that some businesses will be asked to explain their logic in disputes with the IRS. We’re here to help. To learn how Cook Martin Poulson can help your business take advantage of the new tax laws, give us a call at 801-467-4450 in the Wasatch Front or 435-750-5566 in the Cache Valley.